A few days ago, Policy Mic published an article commending DreamWorks Animation for doing “something no Pixar movie has ever tried”: having one of its lead characters be black. Their upcoming film Home, which appears to be some kind of buddy comedy with a bumbling extraterrestrial and a young girl, features the pop singer Rihanna as the voice of that young girl, Tip. For a Pixar junkie, it’s easy, when reading the headline or contents of this article, to scoff. There’s no way that Pixar hasn’t offered us characters of varying races, right? Of course, in their existing features, they have featured a few non-white human characters (or characters voiced by non-white actors), but only a few. 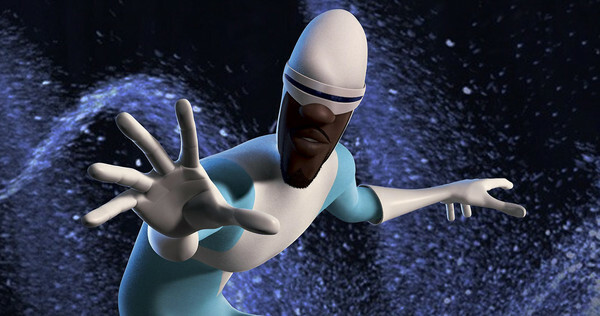 The most familiar, perhaps, may be the hero Frozone from The Incredibles, voiced by Samuel L. Jackson, but there’s also Russell (Jordan Nagai) from Up and Mirage (Elizabeth Pena) from The Incredibles. Finally, there’s Jennifer Tilly (who’s of both Irish and Chinese descent), who voiced Celia in Monsters, Inc. And in the upcoming Inside Out, one of the lead emotions is voiced by the Indian American comedian, writer, and actress Mindy Kaling. But that’s it, and it’s a disappointing fact to consider. Granted, as the Policy Mic article notes, very few animated films of any kind feature lead characters who aren’t white. The most recent example is Disney’s The Princess and the Frog, starring Anika Noni Rose as Tiana, a black woman in New Orleans in the 1920s struggling to save enough money to open up her own restaurant in the French Quarter. Before that, the most notable cases were Pocahontas and Mulan, but both of these are films that seemed to be, in part, a response to criticisms of Disney animation being lily-white in its character representations. For better or worse, however, DreamWorks Animation has featured a host of non-white actors in its films, from Jennifer Lopez in Antz to Eddie Murphy in Shrek to Chris Rock in Madagascar to Will Smith in Shark Tale. This isn’t to suggest that DreamWorks Animation’s films are qualitatively better than Pixar’s because they include more non-white actors in major parts. While, say, Shark Tale features Smith as a non-human lead character, that character is clearly designed to look like Will Smith, as many of the other fish are designed to look like the actors voicing them. More to the point, Shark Tale is widely, and rightly, considered as DreamWorks Animation’s worst film. Pixar has not often been criticized by fans or writers for its lack of non-white characters, but that doesn’t mean they should consider this an issue to ignore. We can look at Brave and see it as Pixar’s Pocahontas, a movie that seems partially designed as a response to calls for more diversity in the company’s characters. It’s a throwback to an era before Pixar came along; just as The Little Mermaid represented a culture shift for mainstream animation, so did Toy Story in 1995 in not telling a princess-centric would-be fairy tale. Brave was an attempt to bridge two disparate but familiar styles (not just in terms of the Disney Renaissance versus Pixar, but that of original director Brenda Chapman with her replacement, Mark Andrews). Although Brave was not entirely successful, it was a proactive attempt to right an unintentional wrong. The same should be considered for the representation of race among future Pixar characters and films. One of the many excellent aspects of Up, for example, is that Russell is Asian not because of a story-specific reason; he just happens to be Asian. Without having seen Home, or even its extended preview attached to Mr. Peabody and Sherman, it’s possible to consider that the Rihanna-voiced character doesn’t have to be black for a specific reason relative to the plot, but simply is black. None of this is to say that Pixar’s previous films retroactively become less successful because so many of its characters are voiced by white actors. There are ways to explain away the racial imbalance, as well: primarily, Pixar movies are not about human characters. The Toy Story films have only two consistent human characters throughout; the Monsters, Inc. films have only one major human character, and she’s barely able to form full words or sentences; even WALL-E, which ostensibly turns into an adventure about one robot’s struggle to save the last remnants of humanity, features just three major human characters. However, DreamWorks Animation films, or a majority of them, don’t focus on human characters and yet have featured non-white actors in major non-human roles: aside from the aforementioned examples, there’s also Antonio Banderas in the Shrek franchise, Jackie Chan and Lucy Liu in Kung Fu Panda, Wanda Sykes in Over the Hedge, and so on. This may seem ironic (or hypocritical) to some fans, for whom comparing Pixar’s voice casting with DreamWorks Animation’s voice casting is sheer folly. Pixar is often accurately championed for not relying on stunt casting. Though their films have featured a bevy of recognizable actors and stand-up comedians, these decisions rarely reek of casting a celebrity just because they’re famous. In The Incredibles, for example, it’s not hard to argue that Samuel L. Jackson may have been the most well-known actor in the bunch, or at least more well-known than Jason Lee, Craig T. Nelson, or Sarah Vowell. Pixar’s filmmakers haven’t forced specific actors into the characters they create, nor have they visually created those characters to look like the actors portraying them. In commenting on how Pixar deals with (or doesn’t deal with) race, it’s important to say this much: to retrofit a character to match an actor’s personality, should that personality be defined in part with their racial makeup, is a bad idea, and one the studio must avoid. The racial imbalance in Pixar films could be attributed to its employee demographics, of course. To date, none of Pixar’s features have been directed by non-white employees. And, of course, with the exception of Brenda Chapman and Brave, all of the directors and co-directors of these films have been men. Their next two features, Inside Out and The Good Dinosaur, are being co-directed by two non-white employees, however: Ronnie del Carmen and Peter Sohn, respectively. (It should be noted, also, that Sohn, who’s Asian, has voiced supporting characters in Ratatouille and Monsters University.) It could be that, even unconsciously, the white men who directed some of Pixar’s most beloved films chose to populate these stories primarily with white actors and actresses. (An admittedly intriguing quirk to consider: so many of Pixar’s films are buddy pictures, all the way back to Toy Story, which was inspired in part by The Defiant Ones, a Stanley Kramer film that focuses on a black man and a white man learning to get along with each other in spite of their differing racial backgrounds.) On one hand, if Pixar were to indulge in a form of affirmative action in casting, that might turn a finished product into something forced and hollow; we praise the studio for its accurate casting, but that has come at the inadvertent cost of whitewashing its characters, at least in terms of personality. So, what is the solution? Pixar has, without question, not stepped in the same pitfalls that Walt Disney Animation Studios has over the years, having non-white characters be played by white actors. (Though Mulan, for example, depicts a period in Chinese history and features a number of Chinese actors, it also co-stars Harvey Fierstein as one of the soldiers Mulan becomes friends with while in disguise.) But that’s partly due to the fact that Pixar’s animators have only created two human characters, over 20 years of feature films, who aren’t white. (Mirage from The Incredibles could be a third, depending on if we’re meant to assume that, like Elizabeth Pena, she’s Cuban-American.) Going forward, then, the best solution for Pixar should be to offer the same level of diversity to its characters that it extends to its general storytelling axioms. Although the full casts for Inside Out, The Good Dinosaur, and Finding Dory are not yet known, it would be encouraging to see more non-white actors among the players. Of course, as some fans are already aware, there is a glimmer or two of hope on the horizon. 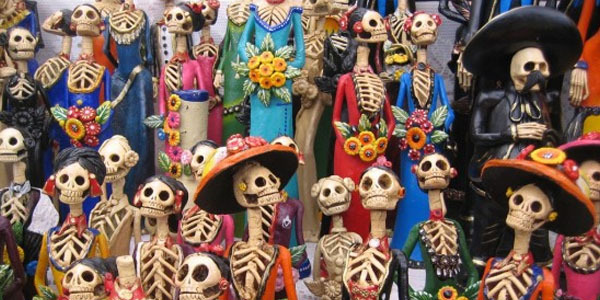 Though it doesn’t yet have a release date, Lee Unkrich’s next feature is themed to Dia de los Muertos, the Mexican holiday that occurs on and immediately after Halloween. Because there’s no release date yet—though hopefully, that will soon change—we can only speculate on the story details or character information. But it’s a safe assumption that the film would feature a predominantly non-white cast; a movie set around a Mexican holiday not featuring a cast of Hispanic actors would be, to say the least, a massive miscalculation. 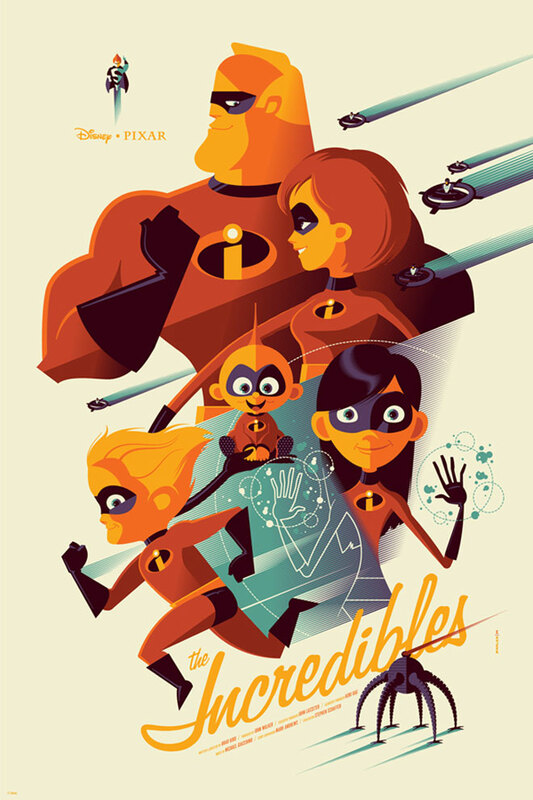 For now, we can only hope that more specific information about Unkrich’s film will be revealed soon, and hopefully well before the next D23 event (the last time we got any serious, definitive information about future Pixar projects). In the last two decades, Pixar Animation Studios has turned into the standard-bearer for computer animation, if not mainstream animation in general. When other studios’ films, from Wreck-It Ralph and Frozen to Kung Fu Panda and How to Train Your Dragon, are well received by audiences, many of them compare these bits of competition to the best Pixar has offered to us. Pixar is technologically the most forward-thinking animation studio in the world, and its storytelling has taken daring leaps, especially in the last 10 years. Maybe that’s why the issue of race hasn’t been an oft-voiced criticism; Pixar succeeds in so many other areas of filmmaking that casting isn’t a major qualm for many fans. However, whether or not their finished films are, universally, qualitatively beloved, DreamWorks Animation has far surpassed its rivals in terms of racial representation. We can applaud Pixar for not indulging in tokenism in its casting, but the truth is simple: almost all of their characters are white, an imbalance that should be more often debated and hopefully dealt with directly in the years to come.